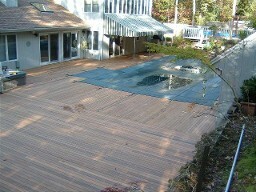 IPE Wood will last 40 plus years. It is a dark walnut color that ages to a silvery finish. 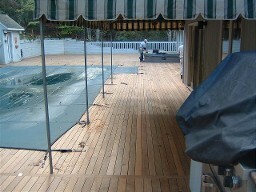 IPE is as prevailent in south america as yellow pine is in the southern USA. We use hidden fasteners so you will see no nails or screws. It looks almost like a hardwood floor upon completion. 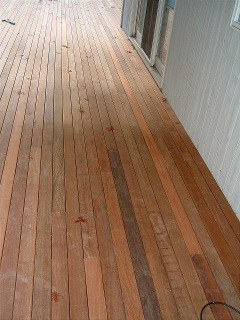 IPE is decay, termite, mold and fungi resistant. 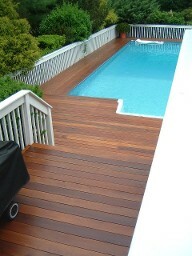 IPE is the strongest wood in the world and looks georgeous. 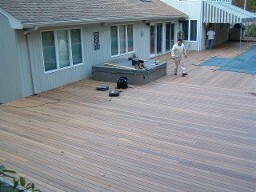 This deck is constructed with 1 X 4 pregrooved IPE lumber. 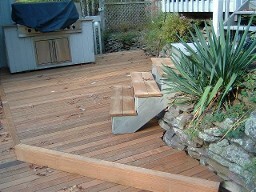 We used stainless steel hidden deck fasteners so you see no nails or screws.